In less than one hour counting starts to find who is going to be our Prime Minister for the next 3 years. I kinda hope that our first female Prime Minister will be re-elected. 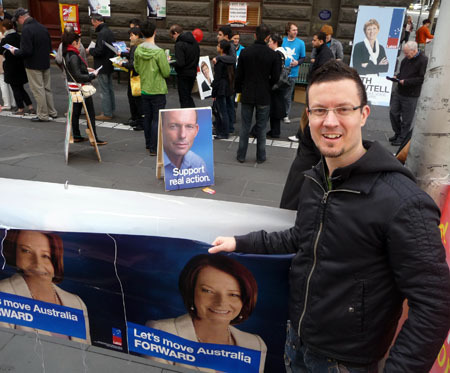 Not sure about their policies… but I like Julia a lot more than the sleazy looking Tony Abbott. Here we go! 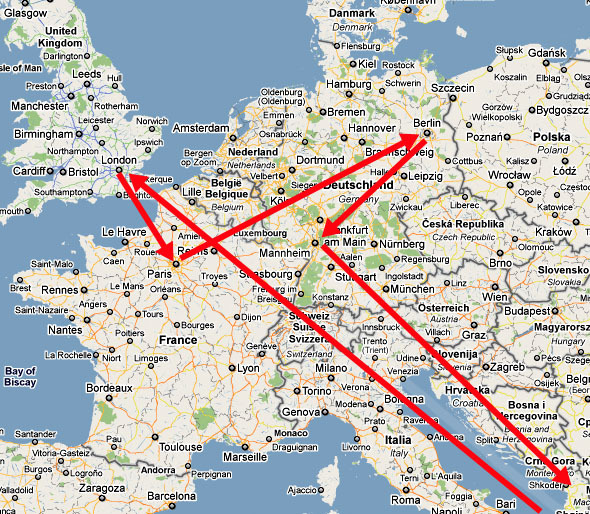 After much discussion and planning we finally decided on Europe for our October vacation this year. I will be travelling with my mate Chris to London, Paris and Berlin before heading home via Frankfurt. We were originally meant to visit South America but amazingly it ended up being cheaper to travel much further to Europe. I’m really looking forward to seeing all these 3 cities again. I have not been to for almost 10 years. So far we have booked all the the accommodation except Paris. Paris is proving to be a little more complicated than I had thought. But I’m sure I will find something soon. In the meantime… bring on October! Back in May this year I met famous German photographer Henning Von Berg. I had exchanged messages with him some years ago. He shares his time between various cities. And this year it turned out that we were both in San Francisco at the same time. Henning had seen my photography and thinks that I might have a chance at having my own coffee table photo book. That would be so cool! It would be like one of those male physique books that you see in the book stores. Well the submission went off to the publisher today so let’s see how it goes. I know I go on about it, but work has been pretty crazy lately. I spent another week split between Sydney and Melbourne this. Meetings, workshops, night calls… it’s all been happening. I’m starting to get a bit tired of doing work travels. It’s no where near as much fun as vacation travels. 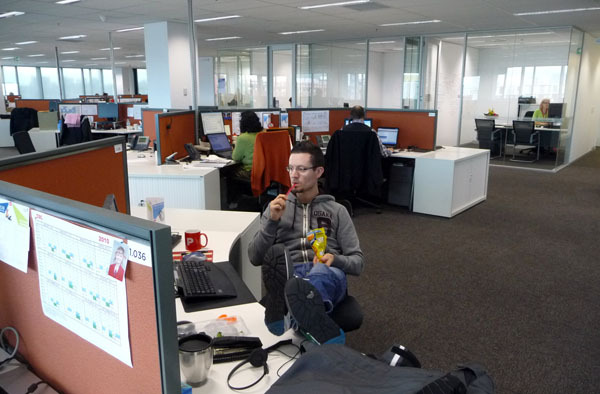 This is the inside of our new office at Docklands in Melbourne. It’s very big and bright. I like ending up here at the end of the week. It seems to be the only place I can go where I don’t have to go to meetings. You are currently browsing the Melbourne Loft weblog archives for August, 2010.